35 Roller Chain 5 Feet with 1 Connecting Link For Mini Bikes Go Karts Top of the line Roller Chain, ANSI #35 (35-1) Applications that the chain will fit: Go-karts, Scooters, Mini Bikes* Tested and proven to have the highest average tensile strength (The maximum stress it withstands before failing)* Satisfaction GuaranteedPitchRoller Diameter Width Between Inner Plates Pin Diameter Pin Length0.3750.2000.1880.1410.4880.519Inner Plate Depth Plate Thickness Average Tensile StrengthWeight Per Foot0.3540.0512100.221 The manufacturing of our roller chain Click here for compatible chain tools *Images for illustration purpose only, Actual product may vary. Roller Chain Detacher Breaker Cutter for Motorcycle Bicycle Go Kart ATV Chains Replacement. 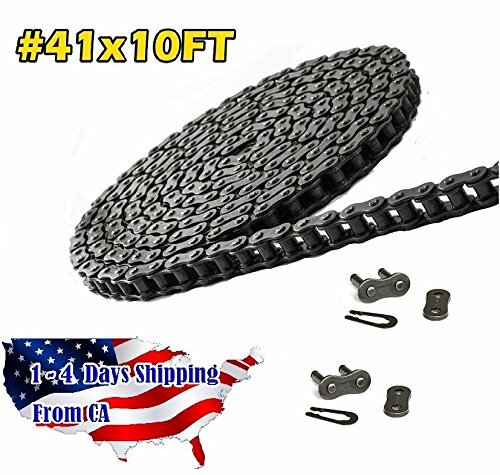 Suitable for the following Roller Chains: 25, 35, 41, 40, 50, 60, 05B, 06B, 08B, 10B, 410, 43, 65, 415, 42, 415H, 420, 423, 428, 28H, 520, 530, 25H, 40H, 50H, 60H, C2040, C2042, C2050, C2052, C2060, C2062, A2040, A2050, A2060. 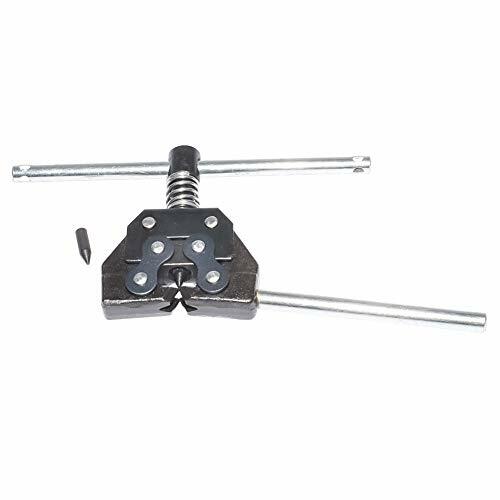 Package Content : 1-Pieces Roller Chain Detacher Breaker Cutter+1-Pieces Extra Niddle Pin. Overall Height - Top to Bottom: -0.75 Inches. Overall Width - Side to Side: -3.25 Inches. 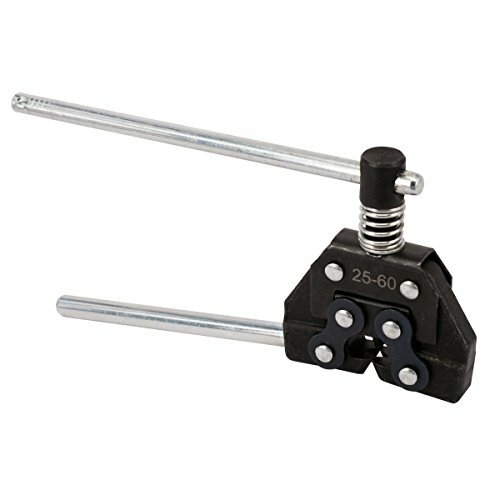 Overall Depth - Front to Back: -6 Inches. Overall Product Weight: -0.81 Pounds. 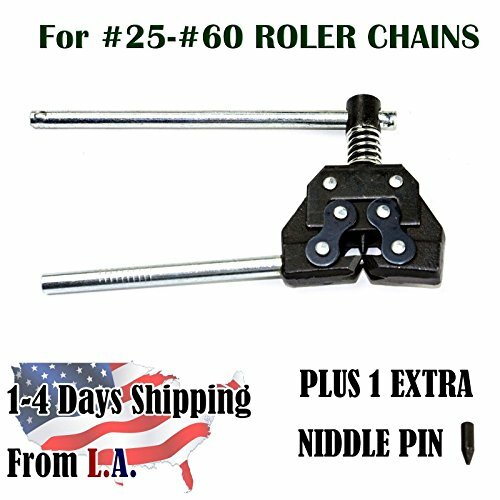 Roller Chain Connecting Puller Holder&Detacher Breaker Cutter for Motorcycle Bicycle Go Kart ATV Chains Replacement. 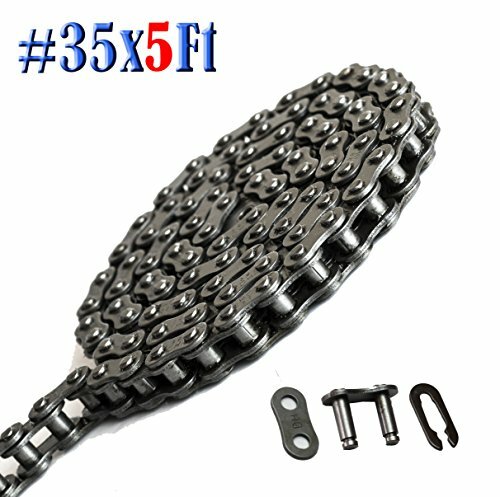 7535040 Features: -Roller chain connector link. 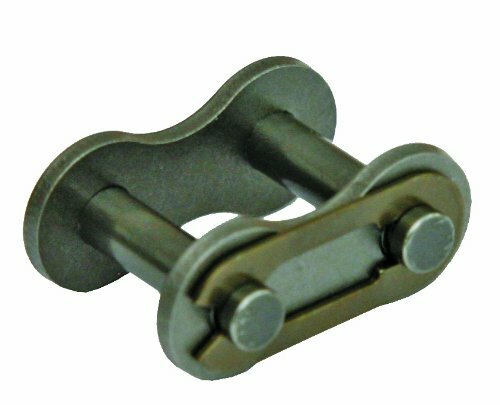 -Meets ASME/ANSI B29.1 standards. 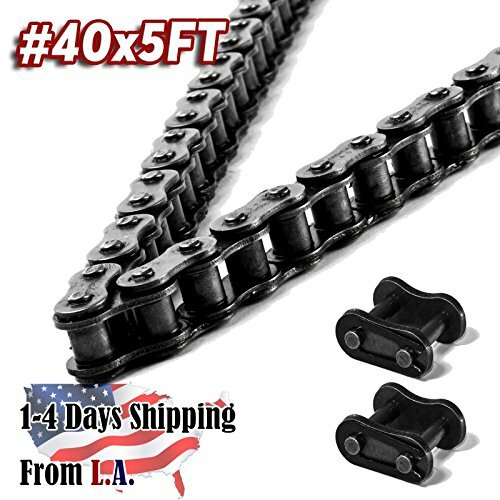 -Connector links can be used to join 2 pieces of chain by 2 pitch increments. -Pitch 3/8''. 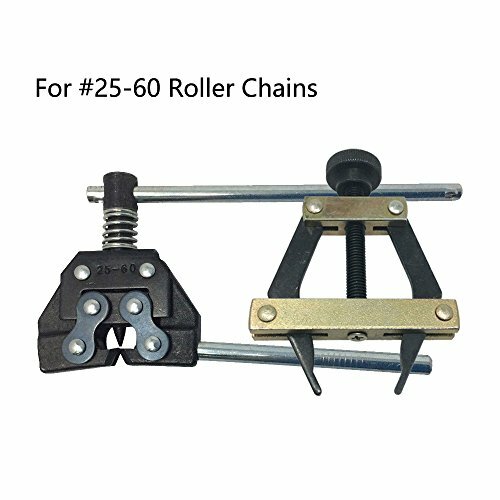 Product Type: -Chain And Hooks. Dimensions: Overall Height - Top to Bottom: -2.75 Inches. Overall Width - Side to Side: -3.62 Inches. Overall Depth - Front to Back: -5 Inches. Overall Product Weight: -0.05 Pounds. 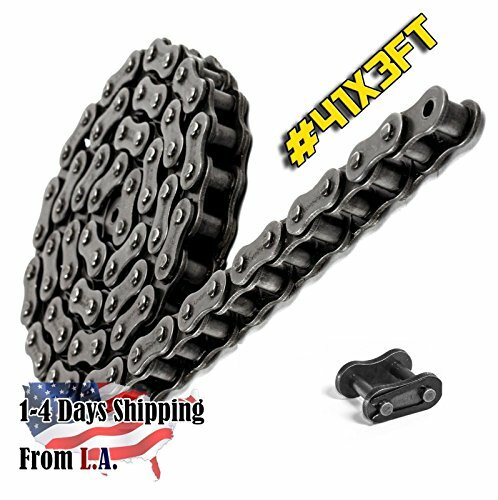 Product Description: This tool is used for chain size #25-60. 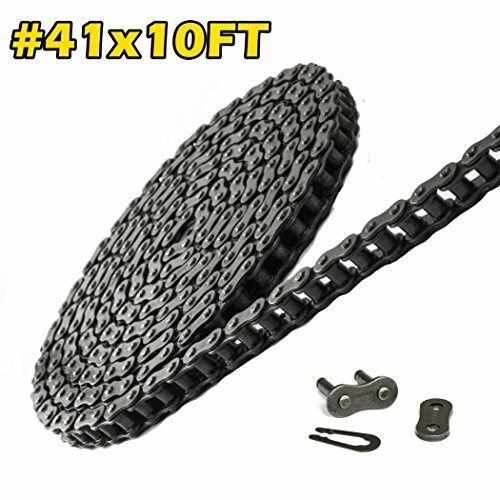 You can easily cut chain into the length your need without any other tools. 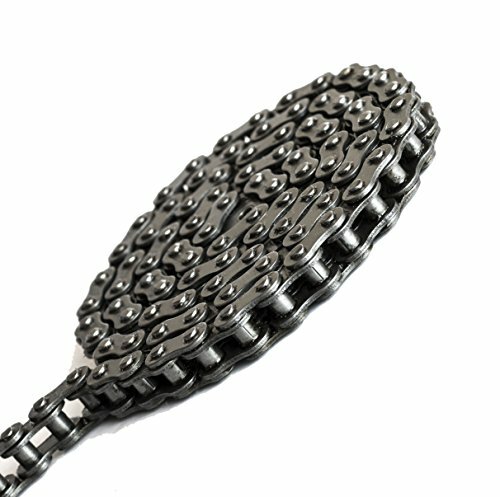 It is totally hassle-free for cutting chain. 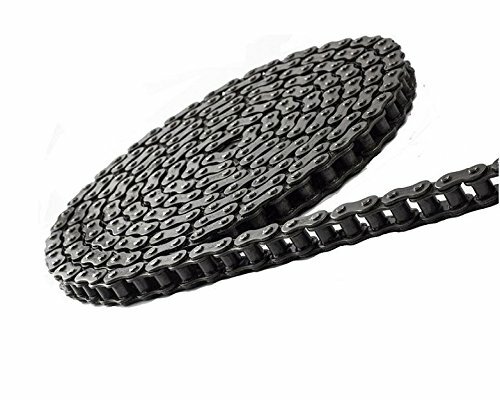 It is the perfect tool for cutting chain because it will protect the chain from possible damage that occurs during the cutting process.